TipOpen Technology - No Handle! 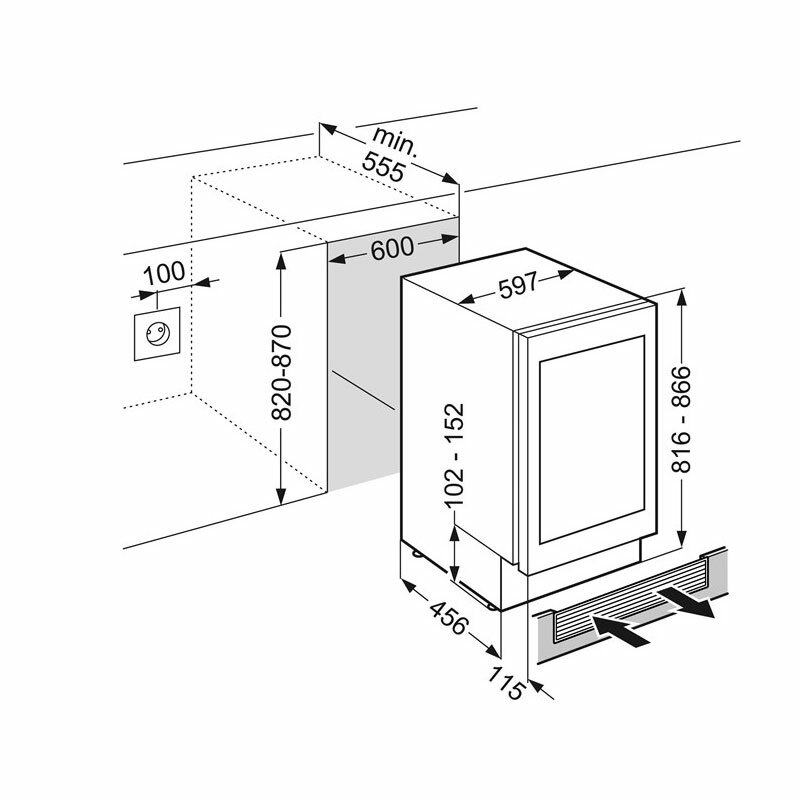 The Liebherr Vinidor model UWTgb1682 is extremely flexible and accommodating to use with two different temperature zones within the cabinet. Each zone can be programmed individually to a precise temperature anywhere between +5°C and +20°C, so you're able to simultaneously store red wine, white wine and champagne all at once and set their own optimum serving temperature. The Vinidor range of appliances also offer the perfect climate for long-term wine storage too. 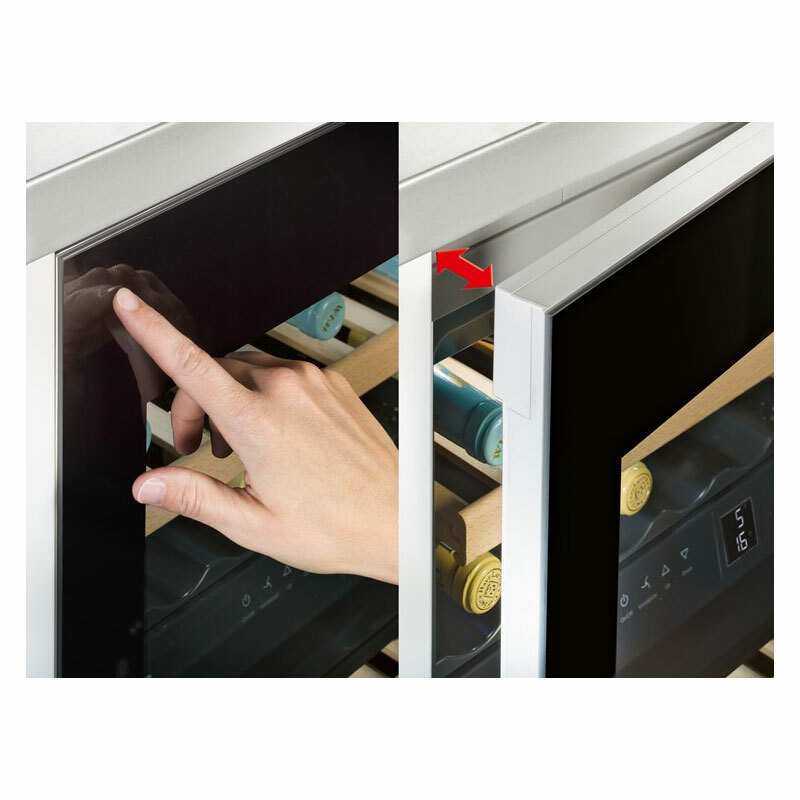 The varying size of each zone, together with the fully adjustable temperature controls, makes these appliances suitable for just about any collection of wine. The double-glazed door opens 7cm when tapped, if the door is not pened further within three seconds, the soft-closing system will active and gently, quietly close the door again.